Dmitry joined the department as lecturer in 2015 after gaining a PhD in international relations at the University of St Andrews. His doctoral research put forward a psychosocial theory of public perception of international crises. In his work Dmitry shows how instead of describing the event, public interpretation of international crises is largely shaped by self-conceptions, inner insecurities, and memories within collective identity contexts. The project involved interview and media material, and focused on the public understanding of the ‘Arab Spring’ in Russia and the UK. 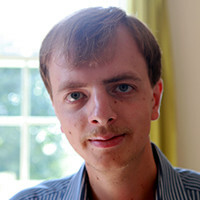 Visit Dmitry’s University of Sheffield staff page.